Nick Schultz | The Phoenix Fans gather at the men's volleyball game against Pepperdine University. 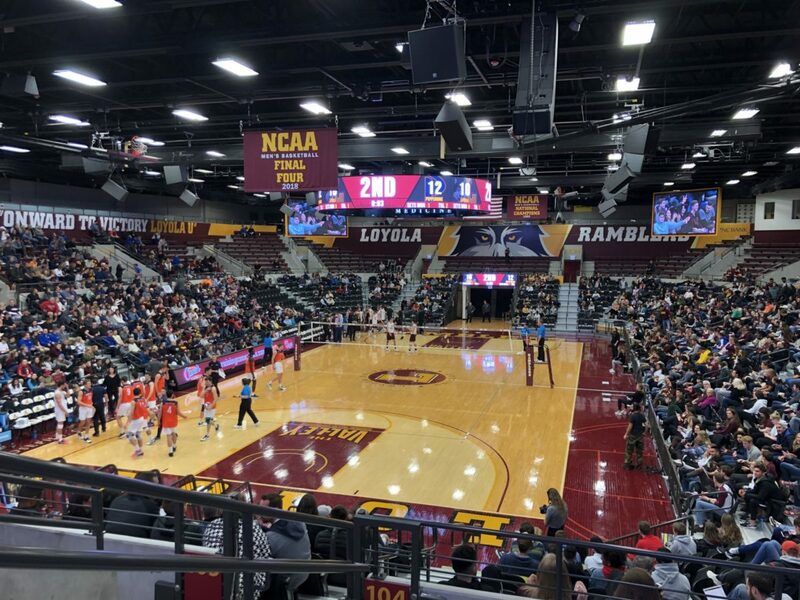 Loyola’s campus was buzzing with hype surrounding the men’s basketball team after it made the Final Four last season, leading to increased attendance at games this season. However, the Loyola men’s volleyball team is once again among the top volleyball programs in the country — ranked No. 10 in the nation — and fans have started to take notice. The men’s basketball games still draw the larger crowd, averaging 510 students per game. But men’s volleyball team also has a strong student following, with an average of 228 students at each contest. Some students say men’s volleyball matches simply fit in their schedule better than basketball games. This is in part due to the majority of volleyball games being played on either Friday or Saturday nights — when there are no classes the next day. 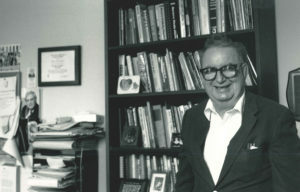 Eleven of the 14 men’s volleyball games played at Gentile Arena were on a Friday or Saturday, while only four of the 18 men’s basketball games fell on those days. First-year Loyola student Ethan Lagman said he didn’t attend a men’s basketball game this season due to scheduling conflicts with classes. Lagman, a psychology major, said he’s attended a handful of men’s volleyball matches and women’s basketball games. Lagman also said the success of the men’s volleyball team has made it an easy decision to attend its games. Out of all the winter sports at Loyola, the men’s volleyball team has been one of the most successful. It’s the only Loyola team to be ranked in a national poll and, while the Ramblers are still fighting for an NCAA Tournament berth, they boast a 17-7 regular season record. Fans are once again starting to come out to games after a slight dip in attendance following the Ramblers’ back-to-back national championship seasons in 2014 and 2015. The average attendance at volleyball games this season is 855 fans, which is close to the 888 fans that came out per match to watch the second championship team in 2015. Loyola has proven to strongly support volleyball in the past. During the first championship run, 1,032 fans came out to each game on average. Also, Loyola hoisted the National Championship trophy in front of a sold-out crowd of 4,485 fans at Gentile Arena after its win over Stanford University in 2014. Sophomore Erina Miranda attended her first men’s volleyball match of the year when Loyola beat The Ohio State University March 29. She said she enjoyed the match, but still preferred basketball games. There are more fan-engaging activities in basketball games since there are more timeouts as well as a 15-minute break between halves. Volleyball matches have limited breaks in the action and the time between sets is much shorter. First-year Claire Anderson said she’s simply a sports fan and enjoys going to all of the games with their varying environments. While many people have said they prefer the sold-out basketball games, the chemistry major has attended nearly all of the home games for men’s and women’s basketball and men’s volleyball, and said she prefers smaller crowds. There are only two matches left in the regular season for the men’s volleyball team — both at Gentile Arena. The next match is scheduled for April 5 when the Ramblers take on Lindenwood University. First serve is set for 7 p.m. and the match will be broadcasted on ESPN3.